Anyone who has read up on hair transplant will come up against these four terms – hair, follicle, follicular unit and graft, and it may seem a bit confusing at first. What do these terms mean? Hair – hair is simply the outer shaft of keratin material, the part that we all identify as hair conventionally. No problems in understanding this. Follicle – Follicle means the root of the hair, the part which is buried under the skin. 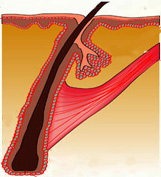 It is the follicle which produces the hair shaft. The follicle consists of the bulb, which are the stem cells which produce the hair, the layer of skin cells, sebaceous cyst and other supporting cells. Follicular unit – a follicular unit is a collection of hairs which are grouped together in the skin. The great importance of this structure was discovered by Bernstein and Rassman in 2002 and this can be considered the starting point of modern hair transplant surgery. Hairs are not arranged singly in the scalp but are grouped into units which can consist of one, two, three, four or even more hairs. An average Indian will have 2.2 hairs in one follicular unit. The hairs in a follicular unit are not simply hairs which accidentally happen to be close together- a follicular unit has a distinct anatomical structure. The hairs in a follicular unit are surrounded by a distinct collagenous sheath which groups them together, they have a common blood supply, a common nerve supply and most importantly, a common tiny muscle, the erector pilae. This is the muscle which makes our hair stand on end when we are cold or anxious. The hairs in one follicular unit have one common erector pilae muscle instead of each hair having one muscle. Modern hair transplant began when this structure of a follicular unit was recognized and transplant of intact follicular units was started. Graft – a graft is a medical term which means a tissue or organ which is taken from one part of the body and placed in another. A graft can be a skin graft, bone graft, cornea graft, a kidney graft, etc. In the context of hair transplant, graft means the plugs of hair which were transplanted. Hair grafts have come a long way from the initial punch grafts and strip grafts to mini and micro grafts, becoming progressively smaller. Today a hair graft universally means a follicular unit. So graft in today's hair transplant language almost always means a follicular unit and the two can be considered synonymous. 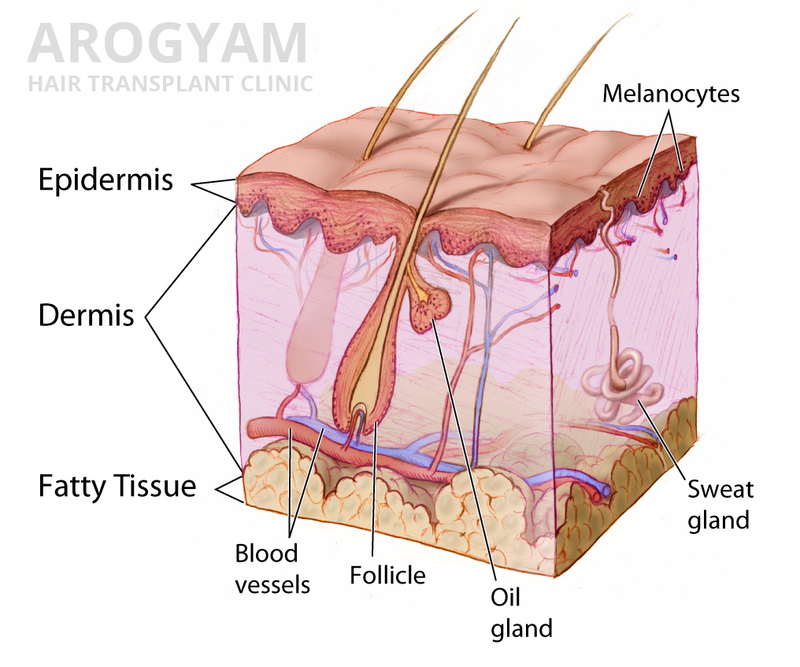 When the hairs are in the skin, we call the group of hairs a follicular unit but when we cut them out to transplant them, this becomes a graft. Takeaway point – The final point of difference is that a graft can consist of one, two, three or more hairs. So when discussing points like cost, etc or analyzing the claims of slick websites, always note carefully whether they are talking of grafts/follicular units or hairs.